Finance blogger Desirae Odjick says the immediate tax benefits and penalties for early withdrawal are a 'potent combo' that make RRSPs great for retirement saving. One of the most popular queries investment advisors get these days from both young and older investors is whether a TFSA or RRSP is the best way to save money for retirement. Tax-free savings accounts were introduced in 2009 and have become an alternative or complement to traditional registered retirement savings plans, launched in the 1950s. While the newcomer has its particular benefits, including an ability to withdraw money without a tax hit, the good old RRSP still has its place for both the 30-year-old and 60-year-old investor, experts agree. The decision on which route to take may come down to tax planning. 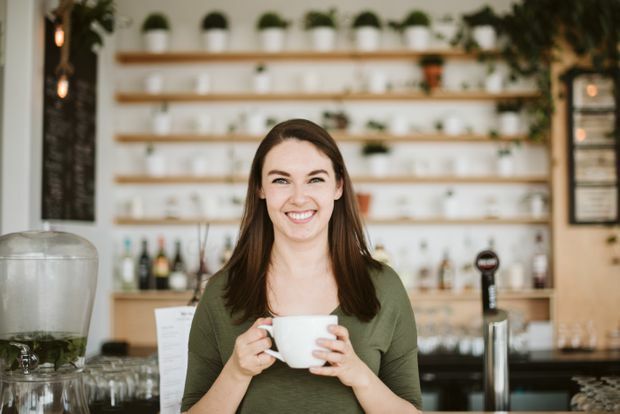 “One of the biggest things I love about the RRSP is that the tax benefits happen now," says finance blogger Desirae Odjick, who turns 30 in a few weeks. That’s because contributions to RRSPs can be deducted from total income, thus immediately lowering the amount of income tax paid. Ms. Odjick adds, though, that the flexibility of the TFSA can be appealing to 30-year-olds, who are going through what she describes as the “millennial gauntlet” of underemployment, stagnant wages, staggering house prices, and student loans. Untouched through till retirement, the TFSA offers its greatest value. “When you have that lump sum and you have access to tax-free withdrawals in retirement that’s a huge tax benefit, but that is much harder to conceptualize right now,” says Ms. Odjick. When investors get to 60, according to Dan Tersigni, a portfolio manager at Wealthsimple in Toronto, they need to acknowledge if they are still in savings mode and, if so, they need to do some tax planning. For a lot of people when they’re between the 50 and 60, they’re in a high tax bracket. Their income is going to drop off when they retire – especially if they don’t have a pension – so an RRSP still makes a lot of sense, he says. “When people have retired they’re not forced to pull money out of the RRSP, but it makes sense for people to start taking money out in their early retirement years so they are smoothing out their taxable income throughout retirement,” says Mr. Tersigni. The big benefit to an RRSP for a young investor, according to Mr. Tersigni, is that it’s a tax shelter for a variety of investments one could hold within an RRSP. “It’s a tax-deferred account and it’s definitely a good option for people to consider,” he says. But while it’s rare for a 30-year-old to have enough income to max out his or her contributions to both a TFSA and RRSP account in a calendar year, Peter Bowen, the vice-president of tax and retirement research at Fidelity Investments, says it is still a possibility. Mr. Bowen says he’s seen a lot more use of TFSA accounts recently, and that’s a good thing. But, he can’t say if the TFSA is indeed being used for retirement savings or to achieve more short-term goals. “The TFSA is very flexible. It’s easier to withdraw money from a TFSA than it is from an RRSP because the withdrawal is not taxed. You can recontribute any withdrawals [into TFSA] and that is a strength of the TFSA, but it’s a weakness from a retirement perspective,” he says. That is certainly a problem for the 30-year-old investor, but less so for a 60-year-old investor who has already, likely, checked a lot of life’s boxes – such as purchasing a home or a car. “The TFSA only works as a retirement savings vehicle [at a younger age] if you have the discipline to leave the money in for the long term,” says Mr. Bowen.